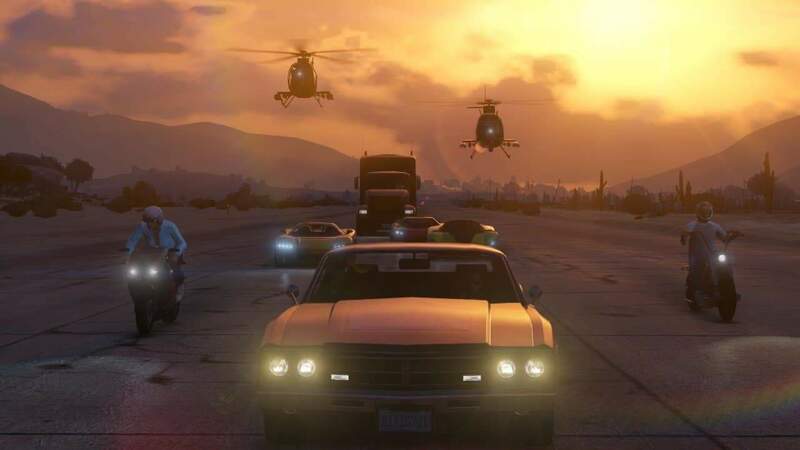 Rockstar Games today lifted the veil on a new advancement in the free roam mode for Grand Theft Auto Online as the award-winning developers announce a series of exciting new events and content in an update scheduled to launch next week. Taking full advantage of the latest gaming consoles and leaps in home PC gaming technology the new Freemode Events will be available for players seamlessly in lobbies, without loading times or menus to halter the fun times. Any of the events can kick off at any time while players explore Freemode. New customization options will be added to allow players to tailor their sessions so that they may encounter the modes more or less often. King of the Castle is an every man for himself mode that will see a single location highlighted as the castle. Each player must try to climb to the top of the tower and then defend their new found castle against the onslaught of other players trying to complete the same objective. Another exciting new mode is Hunt the Beast. A single volunteer will be transformed into a faster, stronger target as other players in the session attempt to locate and destroy the beast like player before they reach the final objective marker. Finally next weeks update will also introduce two brand new Adversary Modes. First up is Hunting Pack. This Speed inspired mode will have a single team trying to deliver a vehicle rigged to explode when it drops below a certain speed while the other team attempt to ram, batter and destroy the vehicle by any means necessary. Cross the Line, the second new Adversary Mode, will feature a neutral zone with team bases on either side as both teams attempt to strategically penetrate their opponents territory to claim victory.